District superintendents expressed concern Saturday over new DMV school bus driver licensing requirements that have resulted in fewer drivers throughout the county. 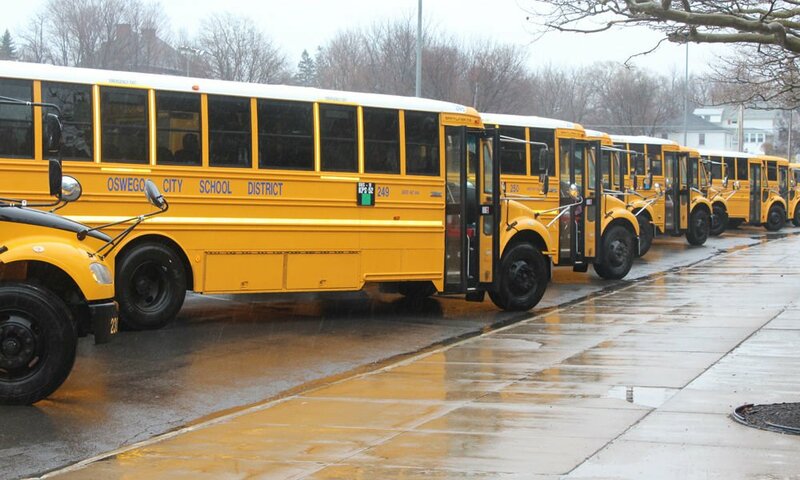 OSWEGO – Superintendents and board members expressed concern during Saturday’s legislative forum meeting saying they are low on bus drivers due to impossible testing standards from the New York State Department of Motor Vehicles (DMV). On Oct.1 2017, the DMV implemented new CDL road test requirements in order to obtain a commercial license, which affects not only potential school bus drivers but any commercial truck drivers as well. During the forum meeting, superintendents and board members from across the district voiced apprehension and frustration towards the shortage of bus drivers, saying they have tried to make changes to increase the amount of drivers available but the issue is the applicants not being able to pass their commercial driver’s license (CDL) test. The requirements people were being tested on in order to obtain the license were changed with tests taking as long as three hours, “but there is nothing available to tell what the outline for the test currently is which means there is no way for drivers to prepare and study for the drivers exam,” said Superintendent of Central Square, Thomas Colabufo. In a letter to NYS DMV, Executive Deputy Commissioner Theresa Egan, Senator Ritchie called on the department to reconsider the standards in a timely manner, so that organizations looking to hire could continue to operate smoothly, and hardworking truck and bus drivers can continue to take advantage of employment opportunities. Central Square Board of Education President, Andrew Martin stressed that because of these flaws in the state DMV system, there is up to a 90 percent failure rate and it can take in most cases two to three times as long to obtain a CDL license, which in turn has also made the cost go up to get people certified as well. “No one is questioning the need for proper driver training and requirements that put safety above all else, but we cannot continue to require our potential drivers-and our most well-trained drivers-to take tests they cannot pass,” said Senator Ritchie in a State Senate press release this past December. He said the test has changed to now asking drivers to know how to mechanically fix a bus. “That’s like asking a teacher to also be a food administrator. That’s not in their job title and not what should be asked of them,” said Colabufo during the meeting.